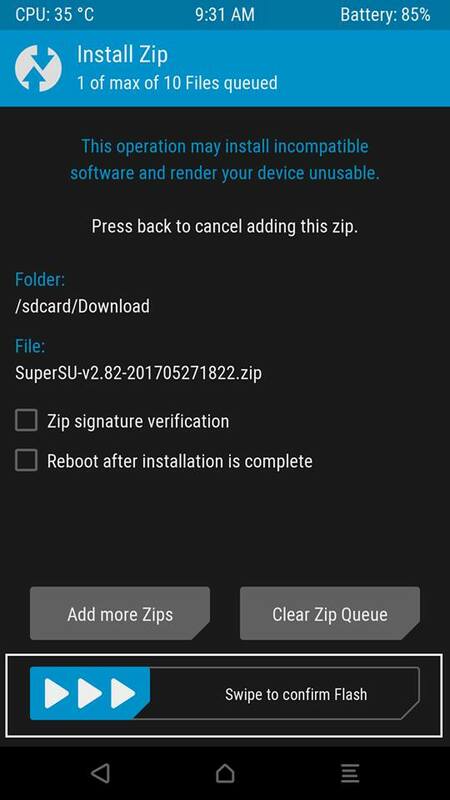 The following guide will help you to download and install SuperSU ZIP (latest) using TWRP recovery and root your Android device. Android is a much vibrant and active OS with so many opportunities for both the developer as well as the user. Howbeit, manufacturers often have a tendency to bind their device with such services and software that are not well accepted by the users. And in such case, we would like to root the device which allows us to customize our device beyond limitations. 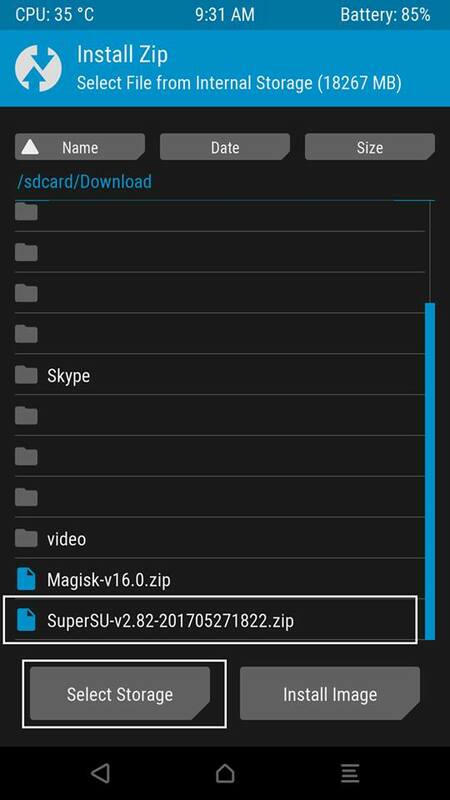 The following instructions will help you to root Android using SuperSU ZIP. Why do you need to Root Android phones and tablets? It’s always confusing about how to root an Android device especially for those who are going to do it for the first time. See also: Xposed Framework Hub – Download and install on any Android device! The unmanaged root access has the possibility to allow any app/service to perform actions on your Android device that could be leveraged to inject malware or steal personal data. However, that’s not possible when you install SuperSU ZIP on Android. SuperSU is considered to be one of most renowned and efficient root solution for Android by Chainfire. Before going to install SuperSU Zip, let us know about a few benefits of using it as your go-to root solution. It allows you to control root permissions for the individual application. It saves the information to locate the frequency of root permission requested by an application. Perform a complete unroot and restore to the stock state. Do you ever wonder why bother with rooting an Android devices that you have? Well, after reading this post, all your questions will be answered. It is true that rooting the Android device will scrap off the warranty that people have on their phones. This is one of the main reasons why people often do not root their devices in the first place. However, there are many hidden advantages of doing so, and you will agree with us as well. Rooting of an Android devices unlocks the full-on power of the phones and other devices. This also provides some other benefits such as updates, battery saving benefits, deletion of unnecessary things. There are other benefits as well which we shall be discussing here. Here are some of the benefits that will convince you all about rooting your android devices. However, you do need to be careful while doing so. One of the greatest benefits that come with the rooting of the devices is that the user will be able to run the custom ROMs. Why would you install the custom firmware on the phone? Well, because they help in optimizing and improving the entire Android system. Apart from that, the user experience from these modifications is exceptional. We have seen that rooting the PC made it possible to overclock CPU. This is something that is similar to the phones as well. So, the user will be able to boost the CPU’s processing power to a very large extent. As a result, you can get a much smoother and better experience with the Android device that you use. However, there is also the risk of frying up the entire main board, so you need to be very careful while doing that. If you have a budget Android phone, then this benefit will be very useful for you. For example, if anyone doesn’t have much internal storage on their low-budget phone, the apps can be transferred into the SD card very easily if the device is rooted. So, you can very efficiently free up space in the internal storage. Who doesn’t love having a tidied up storage right? You can easily get rid of the bloatware that is troubling your phone. So, you can easily control all the applications that are present in the phone. You won’t have to deal with the clutters in the drawers as well. Cutting the bloatware would mean that you will have more memory as well. Another great thing about rooting the phone or tablet would mean that your backup will be improved and restored very easily. Rooting the device helps your device to back up every single thing that you have on your device and not just the app downloads and some special settings. There are many different benefits when it comes to rooting the Android device. You will have a longer life for your battery and who can forget about the clean storage, right? Well, why not go ahead and do it then? Root your Android phone and tablet now to see impressive results. Prior to rooting of the Android devices using SuperSU zip, you should primarily enable OEM unlocking to unlock the phone’s bootloader. 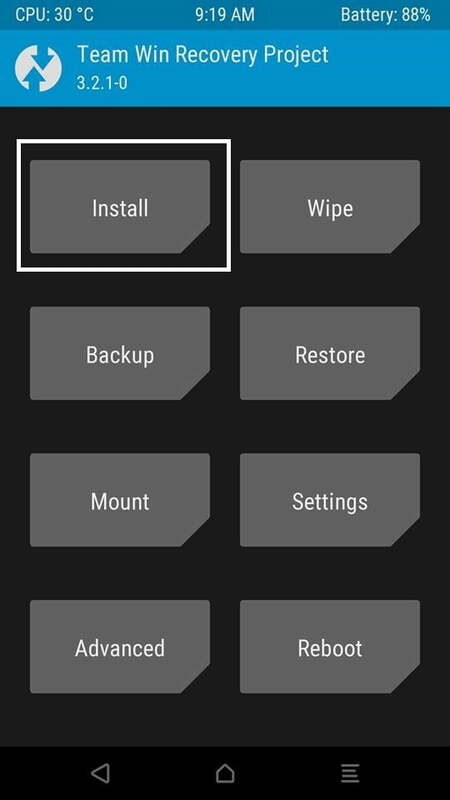 TWRP recovery should also be installed on your Android device. Also before going to start the procedure, you must be sure that you have the entire backup of your device. It’s always better to have a Nandroid backup of the entire ROM. Install Android SDK tools on your PC with which you have to connect your phone. The download links have been added here. 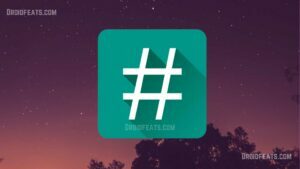 SuperSU v2.82 Stable Download now! First, download the flashable root ZIP file package. Now connect the phone to the PC with the help of USB cable. Then Transfer these downloaded ZIP file to the internal/external storage of the device. These steps will help you to root your device as well as to install the official companion app. So you can start to use the root-enabled apps, and you will be asked to allow/deny root permissions once it’s is rebooted. Now you can update the official app directly from the Play Store very easily. 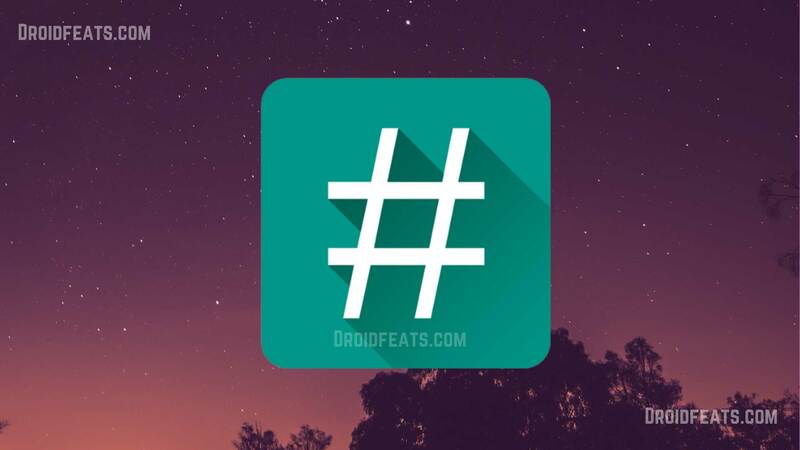 Now you have rooted your android device with SuperSU, and you are all set to use the root apps on your device. You can also tweak your device with the mods like ViPER4Android, Xposed Framework, and lot more. Now explore more possibilities and customize your Android with the third-party apps/mods. If you have any further questions regarding the procedure, feel free to ask us by commenting below. Description: SuperSU is considered to be one of most renowned and efficient root solution for Android by Chainfire. Thanks for providing the real links, some site giving fake links!